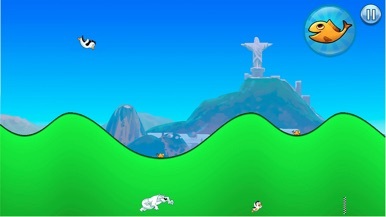 Flying Penguin is a game where you need to slide your penguin down the mountains and release it so it can fly. It can eat fish on its way to the destination. 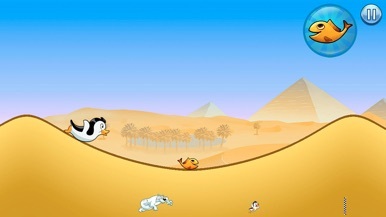 For sliding the penguin you just need to long press the screen on declivity and release your finger on acclivity so it can fly and move faster and further from the evil bear. There are three different worlds with eight levels inside each one, but the second and third world will only unlock once you get 12 and 28 stars respectively. 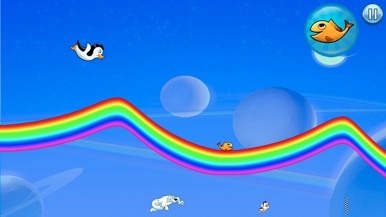 Stars are earned every time you play a level, with a maximum of three for every one. 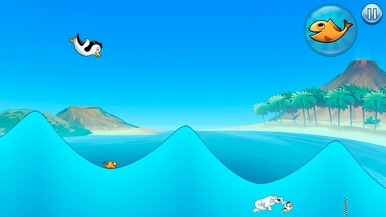 Top Free Games - Best Apps is the creator of Flying Penguin and other several applications (although not all of them are free) which you can also try and see if you enjoy. 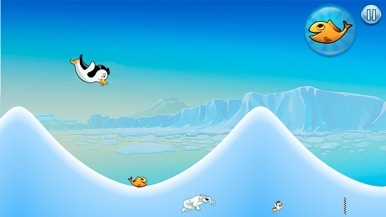 Download Racing Penguin: Slide and Fly!